The week began in Iran with yet more civil unrest and disobedience. 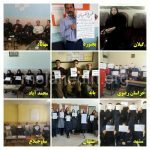 Reports from MEK sources inside Iran say, protestors in Tehran, West Azerbaijan, Zanjan, Khuzestan, Mazandaran, Kurdistan, Kermanshah, Isfahan, Yazd, and East Azerbaijan, among other regions, staged sit-in protests on Monday. Teachers across the provinces refused to work and demanded the payment of unpaid salaries. They are the latest demographic across the country to mount strikes and sit-ins related to unpaid wages. In late 2018, the workers at Haft Tappeh mounted a similar strike over unpaid wages. The workers had gone months without receiving their salaries, putting them under extreme financial duress. The teachers of Iran were not the only workers on strike on Monday. On the same day, railways workers in Neyshabur and Andimeshk also went on strike over unpaid wages. They also complained that they had not received the New Year’s bonuses they were promised last year. In Tehran, bus drivers also gathered outside the Ministry of Cooperatives over the same issue. In one day, three workforces from across the country mounted strikes over unpaid wages. Nothing illustrates the cracks in the Iranian economy better than the unpaid wages racking Iran’s industries. The mullahs’ systematic looting of Iranian finances and institutions have left the economy crippled and key industries creaking under the financial strain. Instead of embarking on reform, the regime prefers to quell protests and force its people into submission. In the case of Haft Tappeh, workers were arrested and threatened with execution unless they returned to work. Iran’s truck drivers suffered a similar fate when they embarked on nationwide strikes in 2018. Employees of the Shadegan (SW #Iran) municipality are protesting & demanding their paychecks that have been postponed for the past 8 months. The nation’s teachers, bus drivers and railway workers are under no illusion. They will know that in staging sit-ins and protests they risk not only their freedom but their lives. However, for these brave men and women, the situation demands protest. They cannot continue working in these appalling conditions, unsure of when the next paycheck will come, if ever, and struggling to put food on the table for their families. 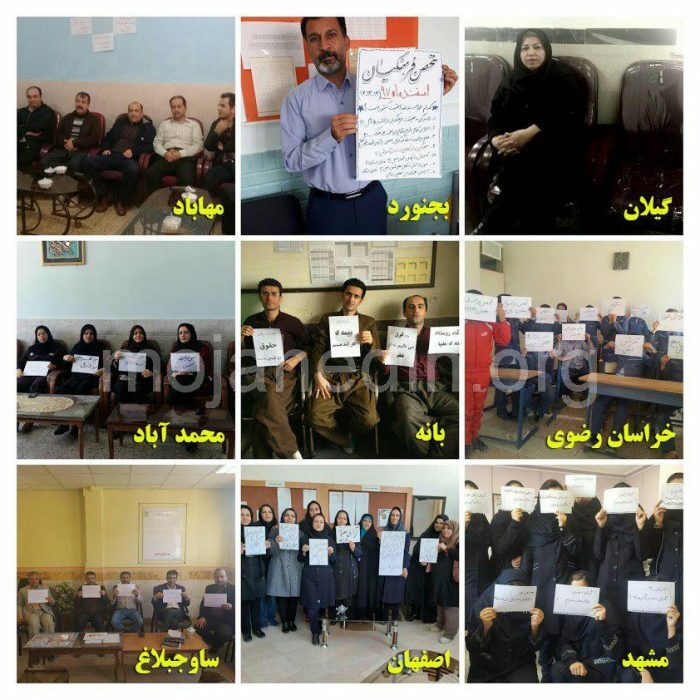 Because of this, the Iranian resistance movement, including the People’s Mujahedin Organisation of Iran (MEK) has called on teachers and trade unions across the globe to pledge their support to Iran’s protesting workforce.